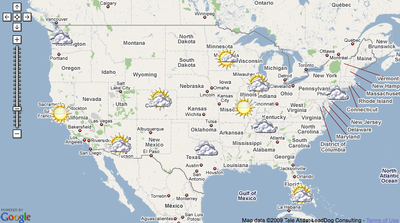 Uses Yahoo’s Weather API to find the current conditions and forecast for a handful of U.S. cities. The marker represents the last update to the weather. 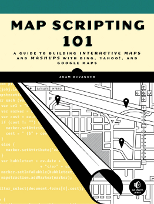 Click to zoom in for more info in a map overlay. 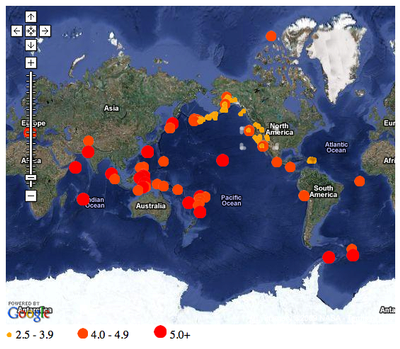 See the last week’s earthquakes around the world by intensity. Adds icons based on where each earthquake ranks on the Richter scale. Zoom in to pre-determined hotspots. Uses data from the U.S. Geological Survey. See a non-custom version which plots the GeoRSS feed directly. 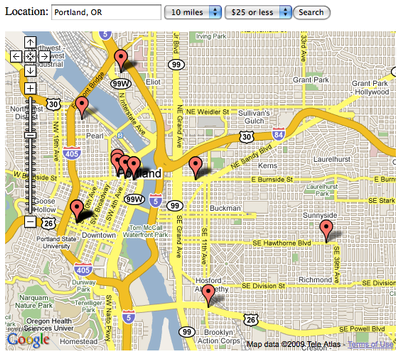 Uses the Upcoming API to search a city for concerts. The user can change the city and the radius, then filter by ticket price.